Hello there, Internet. It's been a while. Since we last spoke, I had surgery, discovered that I did not have a nasty, life-changing disease, moved to another country while still recovering from aforementioned surgery, began graduate school, and discovered the joys of David Weber's Honor Harrington books. Oh, and a universe was destroyed and remade, but we'll save that discussion for another time when I can discuss it more fully. Anyway, as it is not yet February, a quick post about some of my personal favorites of the year 2011 seems appropriate. Let us begin! 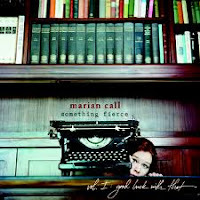 Favorite Album of 2011: Something Fierce by Marian Call. (Available for listening and purchase here). I love this album. I really, really do. Marian Call is an Anchorage based singer/songwriter (which may or may not make me biased) with a folk/ blues style. This album flows very well and has a variety of sort of song in it. Some of my favorite songs from it: "Coffee by Numbers," "E.S.B," "Dear Mister Darcy," and "Anchorage." And let me add, this was a year in which both Kamelot and Nightwish came out with great new albums. Two of my favorite bands. And this one was my favorite. Favorite Book of 2011: Alloy of Law by Brandon Sanderson. First off, let me say that a lot of amazing books in series that I love came out this year: Goliath by Scott Westerfeld, One Salt Sea by Seanan McGuire, I Shall Wear Midnight (paperback) by Terry Pratchett, Across the Great Barrier by Patricia C. Wrede, multiple books by Timothy Zahn... I highly recommend all of those as well as this one. They made this a tough choice. Go read them. This is an incredibly fun book. 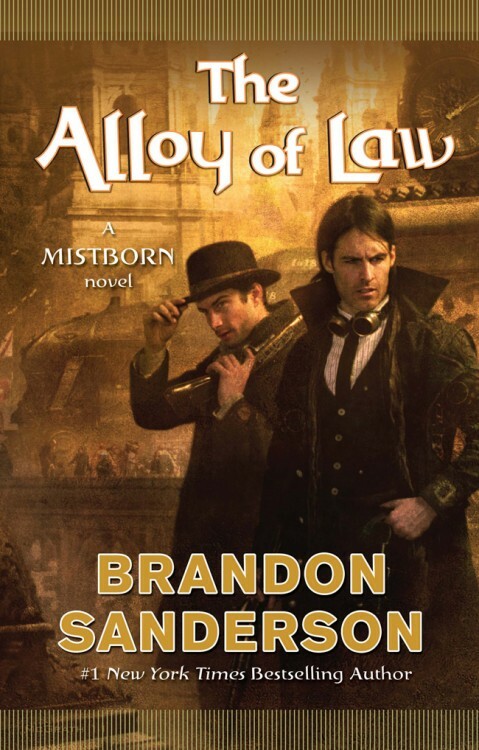 Set three hundred years after the conclusion of the Mistborn trilogy, Alloy of Law has a Western-adventure-meets-steampunk-meets-magic feel and requires no previous knowledge of the world. If you are familiar with any of Sanderson's previous works, you know that the world is going to be well thought out, and this book doesn't disappoint. Nor does it disappoint with interesting characters. This book must be read by every fantasy fan. Every. Single. One. Happily, there is plenty of material for sequels, so hopefully we'll see more. Favorite Superhero Film of 2011: Captain America: The First Avenger. Like good books and good albums, several good superhero movies came out last year. My runner-up is probably Thor, but Cap, silly scenes included, was my personal favorite. Chris Evans did an amazing job and this was a really well made movie. Favorite Video Game of 2011: Portal 2. Portal was an amazing puzzle game with an unexpectedly dark plot and background and this sequel is a great follow up. While Aperture Science's benign facade is gone from the very beginning of this game, there are still secrets to uncover and witty robots to face. And a great ending. 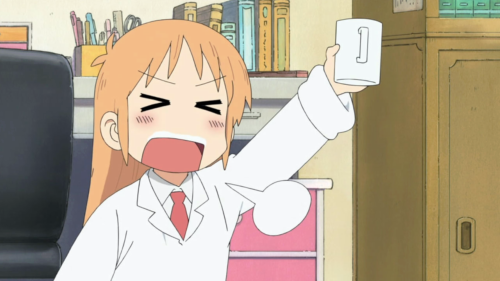 (also known as Nichijou and available for completely legal viewing here). Based on the yonkoma comedy manga by Keiichi Araw, this is basically a slice of life series about people going about their normal lives in a world that's just a tad... completely bonkers. This series has a unique sense of humor that may not suite everyone, but I say check it out in case it is your thing. The animation style(s) are gorgeous and the ridiculousness (a seven-year-old mad scientist! who acts like a real seven-year-old!) is fantastic. This series is made of sparkles, rocket ships, and pure joy. Runner-up series: Hanasaku Iroha. 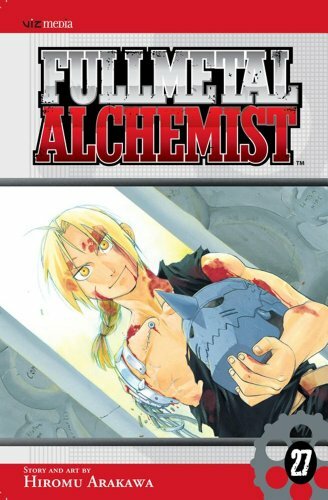 Favorite Amazing Conclusion to a Long Running Manga Series of 2011: Fullmetal Alchemist volume 27. Okay, this is practically cheating but I must mention it. Fullmetal Alchemist is an amazing, amazing series and this is a wonderful conclusion to it. If you like comics and/or fantasy, go read this series. My favorite (non-spoilery) part of this volume: the train station scene. It's just so perfect. That's all for now! Have some favorites of your own to share? Feel free to leave a comment!